Since my daughter was little we have talked about her cutting her very long hair off to donate to Locks for Love. She was always unable to even fathom such a thought! She loved her long hair and didn't want to give it up for all the tea in China! That was until this year. I didn't have my camera because it wasn't planned - at least not by me. Apparently, she had been mulling it over in her heart and head for a while. She caught me off guard when she asked to stop in to a hair cutting place next to a store we were at. I didn't want to miss that moment when her heart was pricked to give such a personal gift of something she really treasured, to others. I thought maybe she was having second thoughts when she was holding that beautiful pony tail in her hands -but she said "no, it's just grossing me out!". LOL - so that's the pained look on her face! I'm proud of my little girl who isn't just beautiful on the outside (at least to this Mommy! ), but on the inside where God sees. She gave a very personal and precious gift this Advent all on her own. It got me thinking that we too are like her hair - here today and gone tomorrow. Life goes very quick. If we are not found in Him, then we too will be cut off. 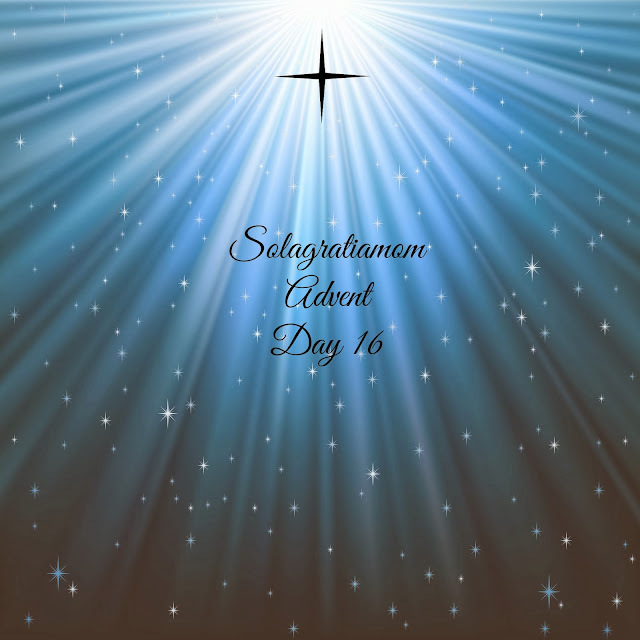 It's a precious time to be ready, to really receive this Gift during Advent like never before. He's asking you to give your personally precious gifts this Season too.